From the Hancock County Courthouse, go 7.7 miles on Hwy 22 east to Springfield Church Rd. Turn left onto Springfield Church Rd. Go 4.4 miles to Down Rd (unmarked dirt road. This is the first road on the left after Springfield Church). Go down Down Rd for 0.4 mile. The cemetery is on the left about 50 yards back in the woods. 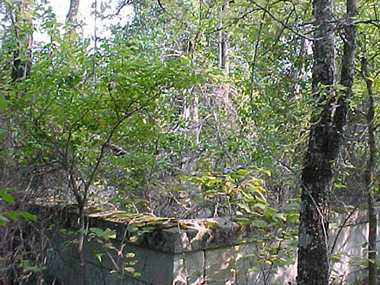 A 5 foot stone wall surrounds the cemetery. Age 38 years. "Sacred to the memory of". "Blessed are the dead who died in the Lord."